If you have trouble starting your car there’s a chance that your battery needs to be recharged. 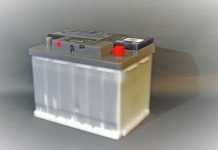 In this article we will learn how to charge a car battery with a battery charger. 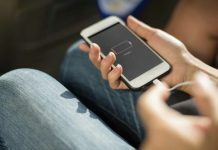 Correctly charging a battery needs more than just connecting two wires to the battery terminals. 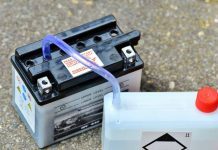 To safely charge a car battery there are some rules to follow. Car batteries are lead-acid battery type and use the constant current – constant voltage charge method. A constant current is applied to battery terminals until the 100% charge level voltage is reached. 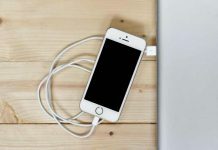 After the charge level has been reached you should disconnect the battery from charger to avoid irreversible damage to the battery. 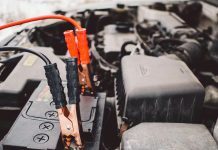 Remove car wires from battery terminals. Connect charger’s positive wire to the positive battery terminal and then the charger’s negative wire to the negative battery terminal. Set the charger voltage (6V or 12V) depending on your battery voltage and other settings your car battery charger may require. Turn off the charger and disconnect wires from battery terminals. 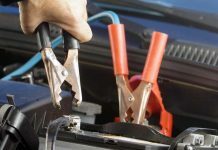 Judging from the easy steps provided below everybody should know how to charge a car battery with a battery charger. If you have a smart car battery charger the task of charging a car battery should be no problem. Even so, your charged doesn’t know the size of your battery. There is one area where car chargers fail. Even the smartest car chargers can’t measure the amperage of your battery. This is why some car battery chargers have settings which let you set the amperage of the battery being charged. Always check your battery for cracks, leaks or if it is swollen. If you see any of these replace it. Always disconnect the negative terminal first. Most of the cars have the ground connected to the negative terminal of the battery. Disconnecting the negative terminal first helps avoiding short circuits. Charge your battery in a well ventilated room. During the charging process the battery makes gases which can explode. Never overcharge a battery. Overcharging produces irreversible damage to batteries. Now you know how to charge a car battery with a battery charger. Pay attention to the safety guides and you will have your battery good as new in a few hours.